A: I have developed a curriculum to teach kids fashion design based on what I learned at FIDM and my 35 years in the fashion industry. A: My business grew organically from just sharing what I love with local kids. As more and more kids were interested I realized that I had a business opportunity. I'm really not the 9:00 - 5:00 type of person, so I jumped in and created my business. 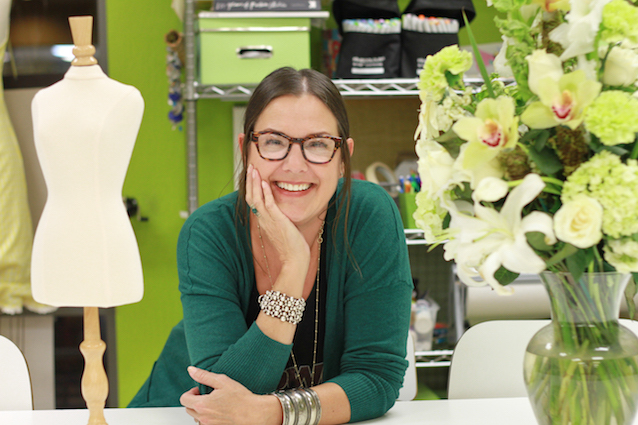 A: I teach fashion design to kids age 6+ & adults. I focus on kids because they're awesome and I'm often the one learning! We have after school classes, Winter & Spring break classes and Summer Camps, Team building events, as well as Girl Scout badge workshops and fashion birthday parties. The most popular class series is Level 1W where brand new sewers learn the basics to operate the sewing machine and some fundamental skills while creating 3 projects. Anime fashion illustration is a really fun series, and the 9 head fashion figure is the industry standard I learned at FIDM. Little fashionista's start with hand sewing, where food and American Girl doll clothes are a big hit. A: Marketing on a shoestring, doing everything myself in the beginning, and staying positive when things are tough. A: Mostly from friends & family, SCORE, a curious mind and following my instincts. A: Start small and believe in yourself. Know that when tough times come it's not because something went wrong, rather that it's time to respond to change and grow. A: I love being part of women supporting other women! Connect with Dori through her Facebook Page!